A good set of pocket scales can come in very handy, if you ever need to weigh gold, silver or jewellery, or for detailed scientific measurements out in the field as well as weighing food and for craft purposes. Specifically selected for their high quality and carrying the reputation of the scientific instrument manufacturers, Ohaus and Tanita, Oneweigh the specialist online weighing shop won’t let you down. 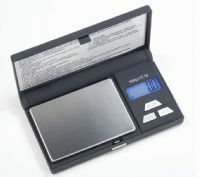 We only stock high quality precision mini digital scales for your guaranteed satisfaction. 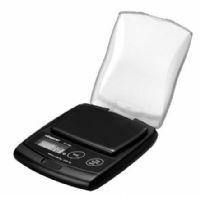 Portable scales come with many features previously only found on more expensive industrial and commercial weighing machines, which now makes them an ideal starting point for many small product weighing applications. Oneweigh regularly provides these for manufacturing companies to be used for Quality Assurance purposes when a quick accurate weight, on the move, is what is required. With the advent of selling unwanted, old or broken jewellery, now big business across the world, and particularly with the price of gold being so high at the moment, it is important to have an accurate weight for your jewellery before you take it to the high street or post it to a company in exchange for money. 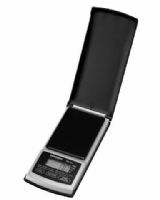 Portable digital Scales from Oneweigh have the accuracy and reliability that you need to be confident when you part with your jewellery for cash. Grams, Ounces, Pennyweight and Troy Ounces, are common units of measure in our pocket balances, and they all have either a protective cover or a lockable load cell design making them the most robust digital mini balances in the market today. They have clear simple to use displays, in some cases backlit for use in dim light conditions, all have an auto off feature to preserve battery life at all time. We also have a variety of different capacity machines, important to note as the readability or resolution of the scale becomes greater or better, the lower the total capacity.